Valentine’s Day is a celebration of love and caring. It could be love between friends, family love of a child to the parent or romantic love between partners. On this day people share unique, romantic cards with their loved ones and there is nothing easier than to make a cute Valentine’s card with ImageFramer. That is why today’s tutorial is for those who want to make a recognizable, attractive and memorable card for those you love. To start, let’s choose the cutest photo of you and your beloved and drag it to ImageFramer. The frame I chose is called Hearts Large (can be found between other frames devoted to Valentine’s Day in Holidays and Celebrations collection, Love set). I’ve added a mat around the photo. I’ve picked the Manor White color in Whites set and unlocked the option for customizing the size of the mat with a click on a little lock on the top right side of the Layer Settings Tab. Then I increased the right and bottom width of the mat to the maximum by using the slider to make space for the text overlay. Moreover, I would like to add more depth to my photo, so I colorized a mat’s bevel using the eyedropper. After that, I want to make an overlay with a text. These words are highly significant, and I am sure you will find the right way to express your feelings. I changed the size and color of the text using Fonts Panel. Well, only one finishing touch is left. I would like to add several hearts to my Valentine’s Card to make my photo stand out by adding interesting visual elements and a bit of extra color. For this step, I need to make several text overlays. 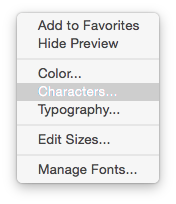 You can find a variety of Characters in the Fonts section. 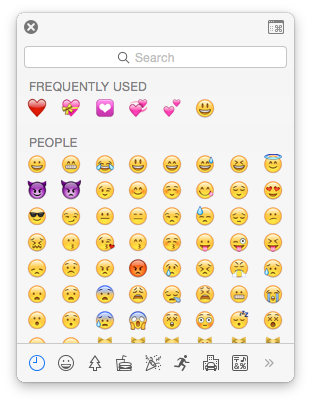 I decided to make the hearts of different size and opacity. The Valentine’s card is ready, really hope you enjoy it! 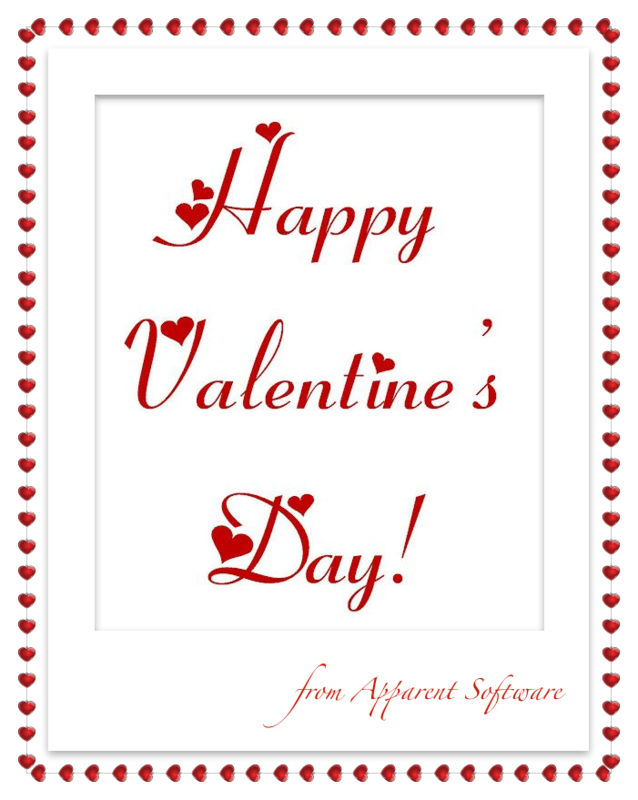 Our customers are the Heart of our Business, and Apparent Software wishes you Happy Valentine’s Day!